This recipe requires a little bit of planning, so everything finishes cooking at the same time. And of course, feel free to prepare everything in advance. 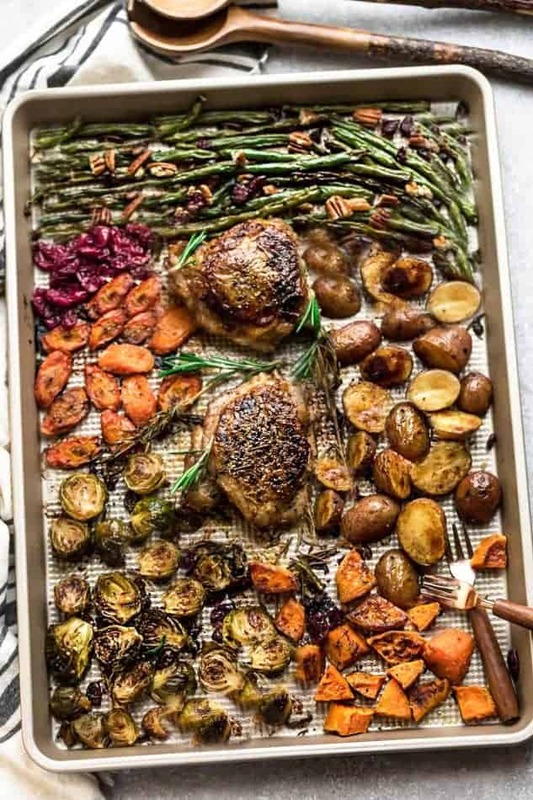 That way, when dinner rolls around, all you have to do is pop everything onto the sheet tray and throw it into the oven. 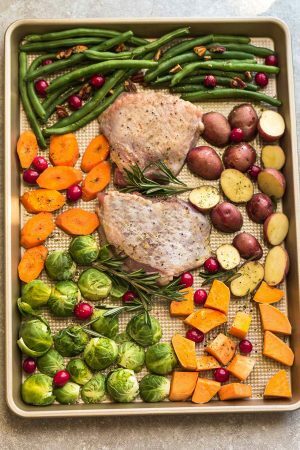 Sheet Pan Turkey Dinner For Two - an easy and healthy one pan Thanksgiving meal for two (or four). Best of all, everything cooks up in under an hour. 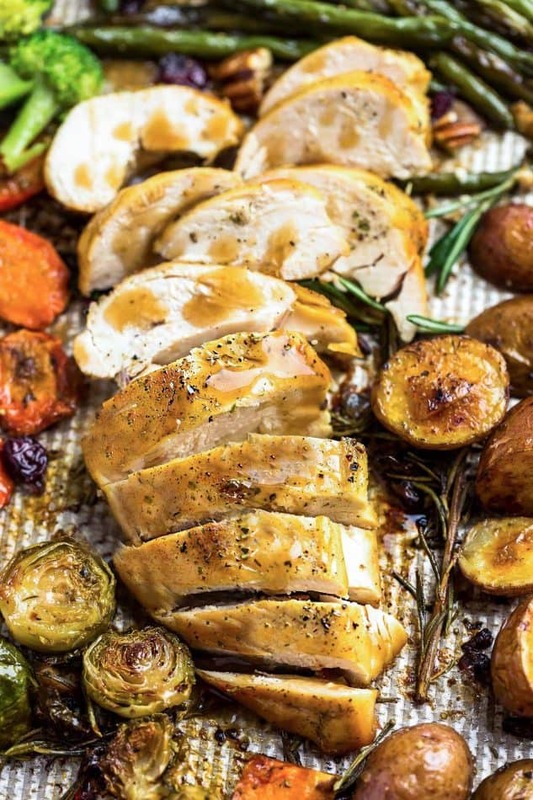 Includes a juicy turkey, potatoes, green beans, carrots, sweet potatoes, broccoli and cranberries. Preheat oven to 400F. Season turkey with salt, lemon pepper, one teaspoon of Italian seasoning and one tablespoon olive oil. Place on a large rimmed baking sheet (mine was 10x15) and roast for 15 minutes. 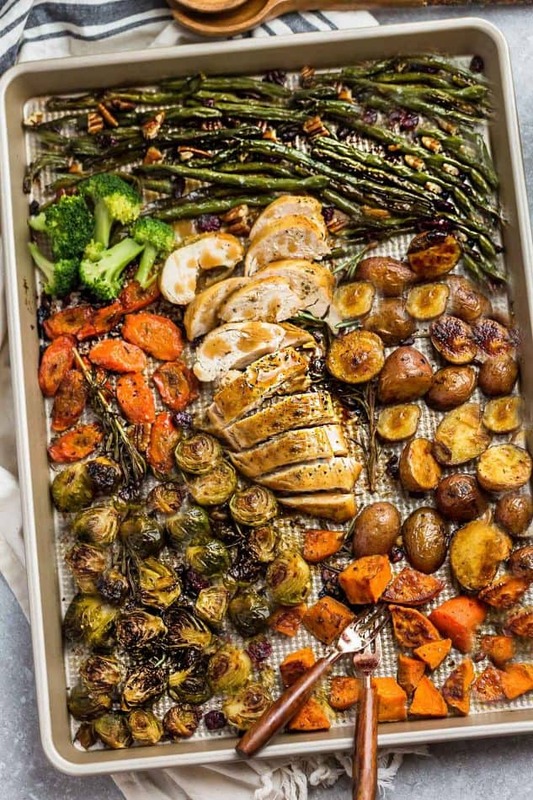 Remove sheet pan from the oven and arrange the sweet potatoes, baby potatoes and Brussels sprouts evenly on the sheet pan, surrounding the turkey. Add a few sprigs of fresh rosemary around the pan. Return pan to oven and continue to roast. 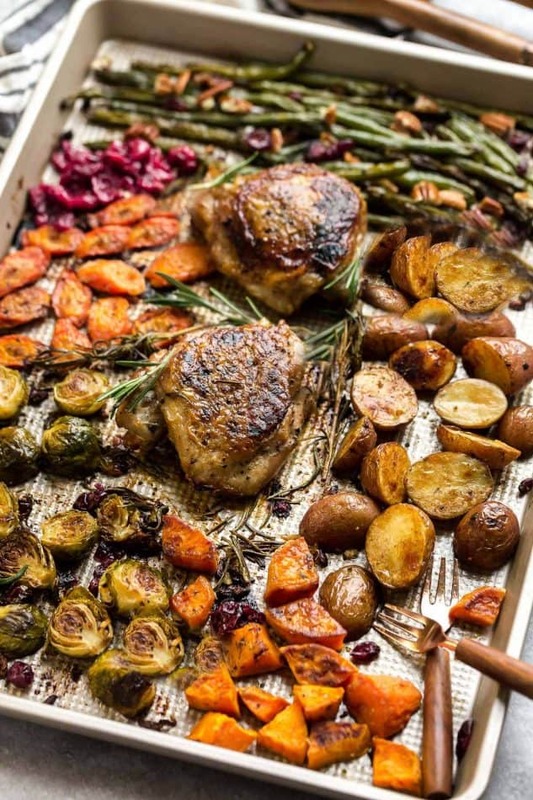 After 20 minutes, remove pan from the oven and flip the turkey and the vegetables. Add the carrots, green beans, fresh cranberries, pecans and dried cranberries to the pan arranging evenly around the turkey. 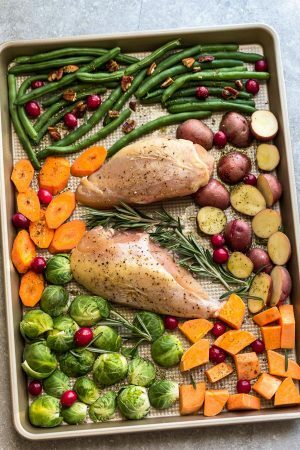 Return pan to oven again and roast for another 15 minutes - or until turkey is fully cooked and reaches 165F internal temperature and vegetables are soft and tender.